NOW CLOSED: 3 Ways to Win a WBECS Ticket for 2018! 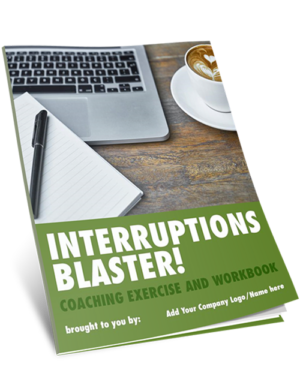 The Coaching Tools Company is offering not one, but 3 "Executive Speed Learner" Top Level Tickets to WBECS 2018-19! 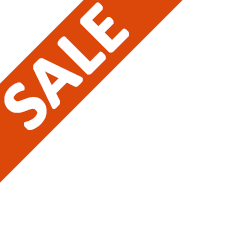 (full price tickets are $1497 each). One whole year of learning with the best coaches and speakers! Get up to 160 CCEUs! The 2018-19 summit begins September 6 and runs throughout the year. This awesome WBECS Package gives access to the live sessions, recordings, slide decks, executive summaries plus the session downloads too! 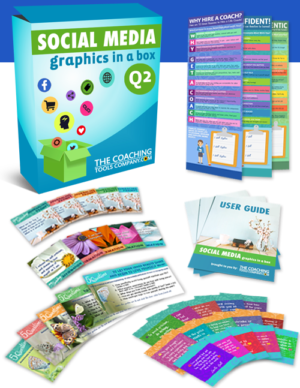 BONUS: Each winner will also get a Coaching Tools Megapack - Life Coaching Resources or product of their choice from The Coaching Tools Company. Here are the 3 Ways You Can Enter a Draw to win an Executive Speed Level Pass to WBECS 2018-19! 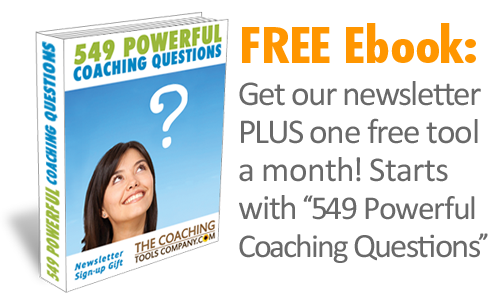 1) Tell us what you love most about The Coaching Tools Company! Head on over to this Facebook Post and comment with what you love most about The Coaching Tools Company! 2) Tell us YOUR Top 3 Benefits of Coaching! 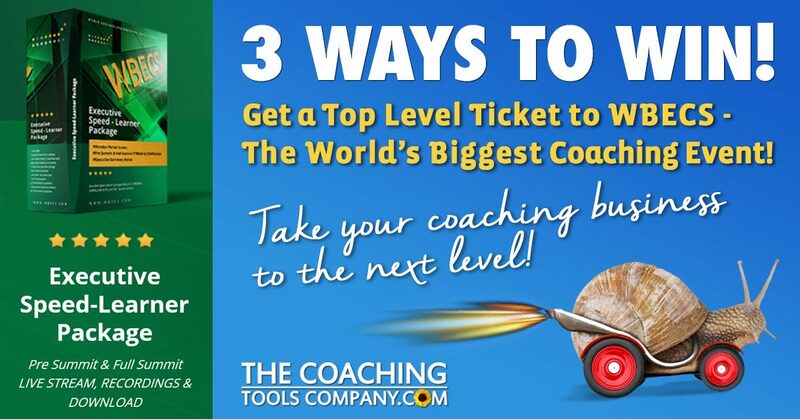 Head on over to this Linkedin Post and comment with Your Top 3 Coaching Benefits! 3) Send us a Review of Your Favourite Coaching Book! Deadline for entries is Midnight (PST) Monday 20 August. 3 Random Prize Drawings (one ticket winner for each entry type) will be made on Tuesday 21 August. Draw Winners and Runners-up will be notified by email, and via private message on Facebook and Linkedin (according to the entry type). IMPORTANT NOTE: The prize needs to be claimed ie. we need a response back from you by Noon PST Wednesday August 22. If we do not hear from you in this timeframe, a new winner will be drawn. Draw Winners and Runners-up will be announced in a blogpost and in the Launchpad Newsletter on Sunday 26th August. 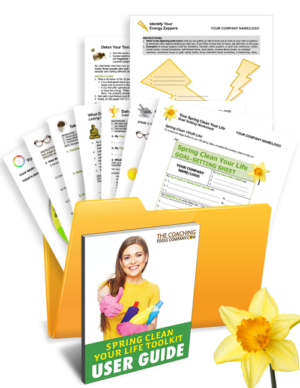 * We will only use your details for the draw - and winner announcements - should you win! PS. 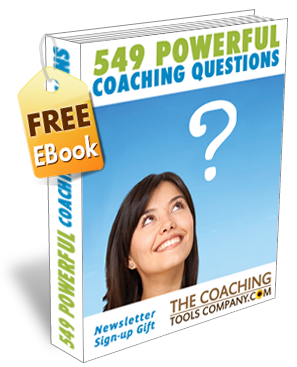 If you haven't already, sign-up for our newsletter here and you'll receive a monthly free coaching tool/resource - starting with the "549 Powerful Coaching Questions eBook"! 1 We are proud to be an official WBECS partner and an affiliate for the overall WBECS program - I think it's awesome!